Buses are unique! Don’t take chances by leaving your bus repairs in the hands of untrained body shops. Your transit vehicles are expensive assets and buses are unique vehicles with sophisticated air brake systems, air operated door systems, PLC and multiplexed control systems, complex wheelchair platform or lift systems and highly sophisticated HVAC systems. Complete Coach Works’ technicians have the specialized training, OEM qualifications and specialized tooling to properly diagnose and repair these systems. Our expertise will assure you that your bus will come back completely and properly repaired and ready for revenue service. 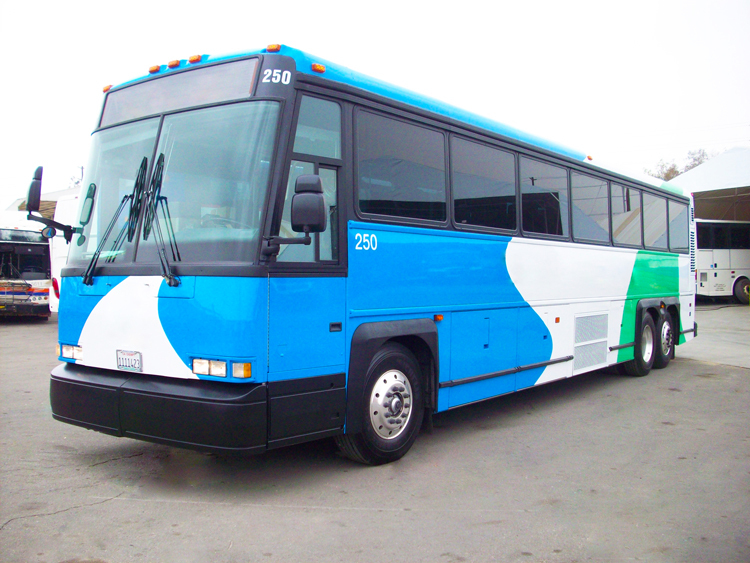 Our process of a complete bus remanufacture includes structural, mechanical or electrical rebuilding, and restoration. We can also add new modern upholstery featuring the latest floor technology and a fresh paint job. We’ll restore your bus to a “like new” condition. As a customer, we ensure you are informed of current and pending regulations. Our team of experts will help you develop cost effective strategies to comply with complex emissions regulations. Enure your A/C system is leak free and properly charged. Upgrade to the latest refrigerant. Converting your system to run on the newer types of refrigerant mix will make your system more efficient. In addition, the newer refrigerant will be economical to purchase and use. Convert your system to an all-electric A/C system. Today’s electric systems use high efficiency alternators and eliminate the parasitic load of the reciprocating compressor from the engine which increases fuel economy and reduces noise pollution. One of the leading causes of reliability issues is wiring systems. Traditional wiring systems have a cluster of wires, mechanical relays, and circuit breakers. Many factors such as age, heat, and vibration cause brittle wires, loose connections, and unreliable relays. Complete Coach Works can upgrade your coach’s electrical system with today’s modern trouble-free PLC-based Multiplexing systems. These systems dramatically reduce the number of traditional wires, relays, and circuit breakers by replacing them with simpler communication cables and a solid-state relay and circuit breaker technology. We offer several wheelchair lift and ramp options depending on the platform size and height requirements. Our installations are designed to minimize disruption to seated passengers and simplify the entire lift and passenger loading procedure for the bus operator. Our completed wheelchair lift installations leave the vehicle looking factory-new. We offer cost-effective ways to extend the life of your bus, reduce emissions, and increase fuel efficiency. We can repower or convert your bus to alternative fuels or Hybrid Drive Systems with options to fit your budget. In the event of an accident, such as a head-on collision, roll-over, or fire, a transit bus can incur severe damage to its structural and electrical components. Handling these major repairs requires expert training and knowledge to get bus lines on the road safely again. We provide high-quality work and value to our customers. Our wide range of services includes major structural repair, body repair, interior repair, paint and decal, mechanical and electrical repair, glass repair, cooling system, hydraulic system, emission system, etc.